Ben Hur Speedway is the premier dirt track in the State of Indiana. It’s a 1 1/3 mile lightning fast clay oval track, hosting several race events. Ben Hur has 17 classes of Kart racing action from kids to adults. 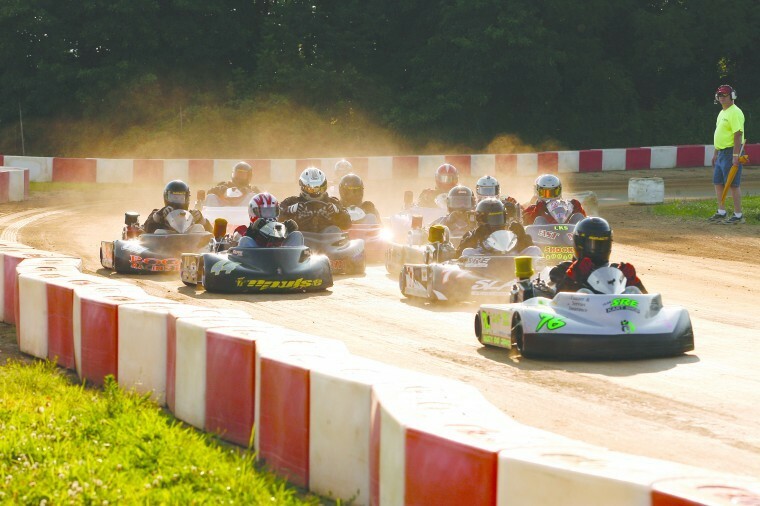 Go-Kart Fans get ready for thrills, skills and a lot of action. It’s time for racing under the lights every other Saturday night! Gate Fees: Adults (13 and up) $4.00, Kids (8-12) $1.00, Kids (under 7) free. Free parking. In honor of their service for our country, all active military and veterans always receive free gate admission. Must present your military ID. Pit Pass Arm Bands: Pit Passes give you access to up close bleachers and an opportunity to meet and talk with drivers. Ages 5 and up are $12.00, Ages 4 and under are $6.00. Purchase at the Pit Gate located inside the track. Getting there: 3.5 miles west of Crawfordsville on US 136 West, turn left on 400 W. The track is .5 mile down on the left. You may bring your own lunch and eat picnic style, grill at your vehicle, or visit the concession stand. Dress for the weather, buy spray and/or sunscreen, bring your own lawn chair or take advantage of the bleachers. For more details on each race visit our Events Page.